5-10-2015 - Now it has been even longer. I am on my last engine choice. The BMW V10 would have been nice, but the cost and complexity of it just was not there. 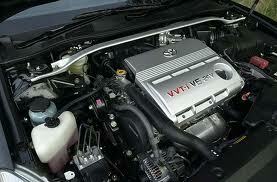 I have now decided on going with a 1uzfe Toyota/Lexus V8 and will twin turbo it in different stages. Stage I - stock block and not opened up with 7-10psi for about 400-500rwhp. I will make a custom intake manifold, single 92MM TB, 1000cc injectors, MS3 Pro ECU. T3/T4 T04E .48ar 50 trim turbos with custom exhaust manifold. These should be good for 300hp each and spool up nice. Stage II - same with a dry sump setup. 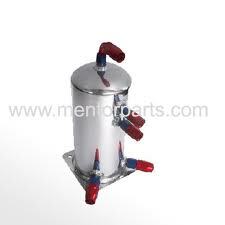 I will use a 4 stage external dry sump pump, custom oil pan, peterson dry sump tank, ATI balancer and gilmer gears. It will have plenty of oil pressure and be able to go to 10,000+ when I want. Stage III- I will add custom cams, valve springs, shimless buckets, port and polish, Forged con rods, Forged pistons 9.5 c/r, ARP studs. This will be good for 20psi of boost if I ever want to go there. Once this is done I will do 12-15psi and rev to 9000-9500 rpm. I am thinking it will be in the 600rwhp+ range. Stage IV - All the above, but Borg Wagner EFR turbos. These will spool up super fast and have a higher overall output if I want to go there. I currently have most of the turbo items and I am mocking up the engine items now. I should have the custom flywheel in my hands to start bolting things together. Exciting times to come for sure. 6-5-14- I know it is has been forever, but we put this on the hold for a minute to go racing and finish up other projects. We will be back on it shortly. We have made a bunch of changes and now will be using a BMW S85 V10 engine. Yes, 8500rpm, 550 hp and V10 will go very well with this car. We also are going with a full sequential transaxle from Quafe with LSD and this will match up very well. We are hoping to get back on this late summer. Welcome to the Superlite SL-C build blog. I have purchased an SLC from Superlite Cars. 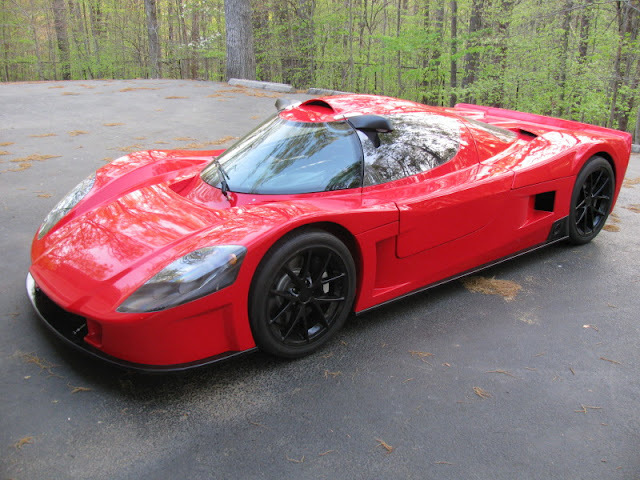 This is a kit car that resembles a Lemans style car with the engine mid mounted with a transaxle. I have always loved the look of the Lemans car and this fits what I really like. I kit is very well done, comes with most items that are needed and a rolling chassis kit from the factory. I will be updating my thoughts and build process here. 7-28-12- Stereo in the car. There is not a great location for a head unit for the car. I did some research and found that you can get a detachable face radio and mount that face in other places so the radio does not have to go all the way in the way when there is not enough room. You need to solder in a connector wire to make it work, but that has been a lot by others and figured out. 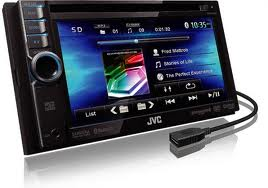 I plan to get a JVC dual din size head unit with a 5 channel output. I will get a set of 6.5" speakers and mount in the dash, a 6x9 for the doors and a 10" sub. Then get a 5 channel amp and have a killer sound system. 7-27-12- I have been pondering the twin turbo setup. I need to make a custom intake manifold for this as the 3mz intake is plastic. 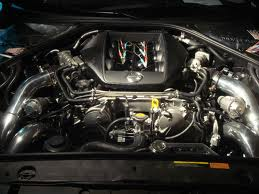 I was looking at the Nissan GTR, which makes like 500-700hp easy and will do a similar intake to what they have. It will be a dual plenum intake with dual throttle bodies. This will be the best for fitment purposes to clear the engine lid, give the shortest path for the tubos for plumbing and should work out really well to make high hp. The only issue is to balance out the throttle bodies and I have a few ideas to make that work. 7-25-12- There is another SLC owner that is about an hour away from me up in northern VA. I went and saw his car before I ordered mine. I am going to go back up there and take some measurements for items to do ahead of time. I need to figure out lengths on fuel hoses, size and configuration of the surge tank I want to build. I have to think about where to put things because I will have the twin turbos, hoses, intercoolers and other things to think about for later. 7-22-12- I have been pondering the pedals and making them move forward and back. I am going to mount the seat solid to the floor so it can be about 2" lower for head room. The steering wheel comes stock with tilt and telescopic so that is great. 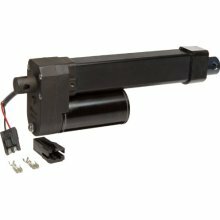 I plan to make the pedals go back and forth with a 12 volt linear actuator that can do about 450lbs of force. This will move the pedals forward and back as needed. I just will need to make some sliding brackets or something when it comes. I have some ideas in my head and will figure it out later when the car comes to me. The C6 steering rack also came with an extra switch on the column so I will use that basic location so it does not clutter up the dash. 7-20-12- The SLC comes with fiberglass bucket seats that are not covered. They are ok, but not that comfortable for a lot of street use. I got a set of Cipher seats off ebay for $329 shipped for the set. These are one of the few seats that will fit in the SLC. When I got them they actually seem really nice. I was worried at the lower price it might not work out that well, but it sure did. Now I can drive the car everyday to work in more comfort. I will keep the SLC bucket seats and swap them back in if I ever do a track day with the car. 7-15-12- I ordered the fuel pumps. This will have a 18 gallon tank that will feed a surge tank so two pumps are needed. I might change my mind later and get the LS376 engine so I am making sure the pumps and lines I get are good enough for both engines. I got the Bosch 044 external pump for the fuel rails after the surge tank. I also got the Holley 125 feed pump from the tank to the surge tank. These will have all 8an lines so it should be able to handle all the hp I can throw at it. I also got two in line fuel filters. I just need to figure out just what fittings and hose lengths I will need to get the car. 7-12-12- I spent the morning getting heat exhaustion with a buddy at the pick a park. We got all the parts needed for the ecu, engine harness, alternator, TB, ect. It was 104 degrees out and we got dehydrated quick outside. Not fun, but we got what we needed. The cost was $250 for everything needed. So the engine, harness and ecu with other items comes to $750. So not bad at all. I can also sell some items off the 3mz I got, such as the tb and other items to get some money back. 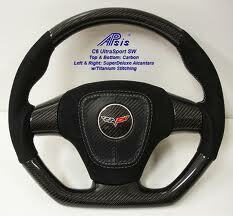 7-10-12- I got a stock C6 Corvette steering wheel with controls and the entire steering colum from a wrecked car. This is a great find and only cost me $125. So I need to make a new center section and will do that myself as the air bag was blown, but the main thing needed are the steering wheel controls with all the connectors inside. I plan to use the buttons in the center section for the raidio to change channel, mode and volume. I got an automatic steering wheel with paddle shifting. I will use the shift up button to change my boost level from like, 8 to 10 psi and then the pull back to scramble boost to 12psi. So I can adjust boost on the fly with steering wheel controls. I think that will come out really cool when done. 7-5-12- I found my engine, actually two of them. I am going to use a V6 in my build. 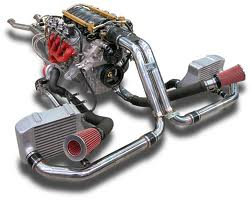 Now most use a LSX series of engines and the engine of choice is the LS376 with 480hp. 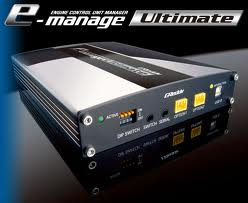 I do like that engine myself, but the cost with the engine, ecu and pedal with shipping will run in the $8000+ range. I decided to go with an engine from a 2005 Toyota Sienna, or known as the 3MZ-Fe engine. This makes about 250hp. Not much in stock form when normally aspirated, but I do plan to twin turbo the engine. So it will be similar in size and power of a Porsche 911 twin turbo, but the car will weight over 1,000 lbs less. I got two 3mz engines, one will be for NA and the other I will build up for the twin turbo later once the car is running and sorted out. The cost was only $800 for both, or $500 for the single engine. Now I do plan on using a 1995 Toyota Camry wiring harness, ecu, alternator, coils and throttle body. So I am doing a hybrid setup for the engine called a 1mz/3mz hybrid. I am using the older electronics because it is easier to control and I will also add a Greddy emanage piggy back computer to adjust fuel and spark later when we go twin turbo. I plan to have a few stages of twin turbo. I will use a stock engine unopened with 8psi, 10 psi and 12psi. With this setup we should have about 450 hp. Later we will add forged lower compression pistons and have 15psi and 18psi. That setup should have 550hp. Now another benefit to the V6 versus the V8 is that the 3mz is a very compact engine. So we can mount the engine and transaxle farther forward in the chassis by about 4-7". The engine is all aluminum so it weights in about 75-100lbs lighter than a V8. The engine can also be mounted a few inches lower. This should all add up to a better handling car when done and a lighter car. The turbos will add some weight, but they are small turbos as I just need to use t3/t4 turbos since are are using two. 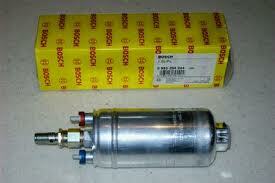 I plan to also have twin intercoolers, methanol injection and large 600cc injectors. 7-3-12- I got a set of factory Corvette Grand Sport wheels off ebay for $400. I really like the 5 spoke design on these and being factory wheels they are light and strong. The sizes are 18x9.5 front adn 19x12 rear. Weight is 21 and 24 lbs, which is not bad for the sizes I got. I made a spreadsheet of tires to get and I am trying to decide now. I plan to use 265x35x18 front and 305x30x19 rear. My main choices on tires the Hankook V12 or RS3. The RS3 seems to be much nicer, but cost is about $600 more for the set new, so we will see. 7-2-2012- Fran called and let me know he found a really good deal on a transaxle. I wanted to get a Porsche 997 transaxle as that should be the strongest out there, have 6 speeds and LSD. The only issue was this transaxle setup would cost $14,000. Now I could not afford that much money and if the transaxle would be that much I would not be able to afford the car. I am on a tight budget here. Fran found me everything I was looking for and strong enough to handle what I will throw at it. It is a G50/20 6speed LSD transaxle from a 1998 Porsche carrera 2. This will do what I need and cost $4500 with the clutch, pressure plate, disc, throw out bearing, fork and slave cylinder. I will need to get a custom flywheel made up to mate the engine from Kennedy. So transaxle found and done so that is great. 7-1-2012- Kit ordered. I ordered the kit in white gelcoat. The gelcoat is supposed to be so good that it just needs to be wet sanded and buffed for a great finish. White looks great and should hide small blemishes if there are any. I also ordered the lift kit, which will raise the front end about 3" or so to get over speed bumps and certain driveways. I plan to use it on a street a lot so this was needed. 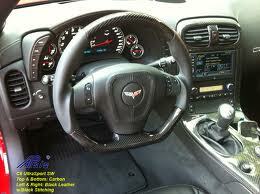 I ordered the interior in carbon fiber. I like the look of carbon fiber and this also saves time and money later when finishing the car. The other two options ordered are the body fitment as I heard this can take an immense amount of time and effort and also the body cutouts to be done at the factory. I plan to get a transaxle from Fran at Superlite cars as he knows what to get and said he could get a good price. Fran will also be the one building the car. The kit takes 4-5 months for them to make it.